Phat! Company teamed up with the garage kit dealer 'RyunRyunTei' Toona Kanshi to codevelop a new generation of action figures known as the Parfom series! 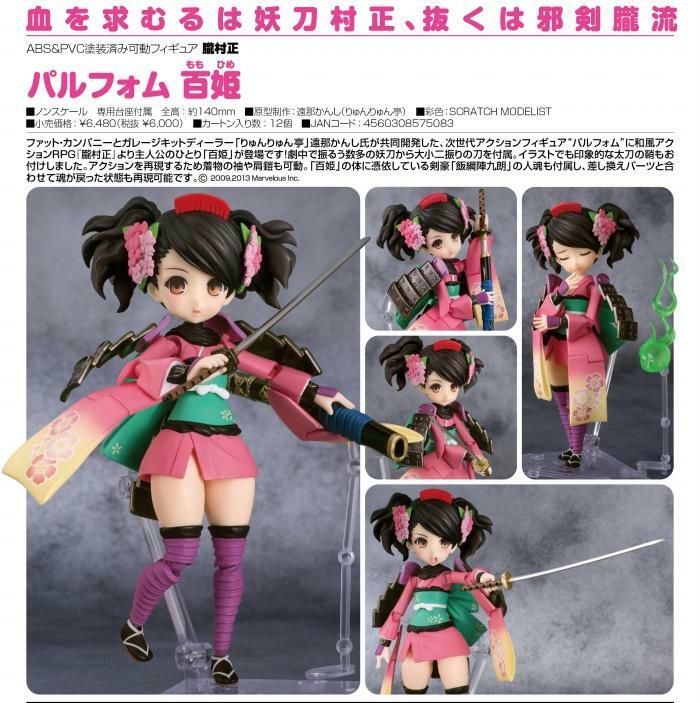 The next figure to join the series is Momohime, the main character from the action RPG 'Muramasa: The Demon Blade'! The figure includes a set of matching long and short Demon Swords, and the memorable scabbard of the long sword from her illustration has also been included. Her kimono sleeves and shoulder armor are specially articulated allowing for poses in various action scenes. The figure also includes they fiery soul of the swordsman who possessed Momohime - Izuna Jinkuro! Preorders are welcome to ship in late April 2017.